Credited with millions awarded to those in pain; Millions saved by exposing symptom magnifiers. An objective means for evaluating presence or absence of soft tissue injury. The DynaROM assessment entails the simultaneous measurement of spinal range of motion with paraspinal muscle activity through the use of dual digital inclinometry and dynamic electromyography respectively. 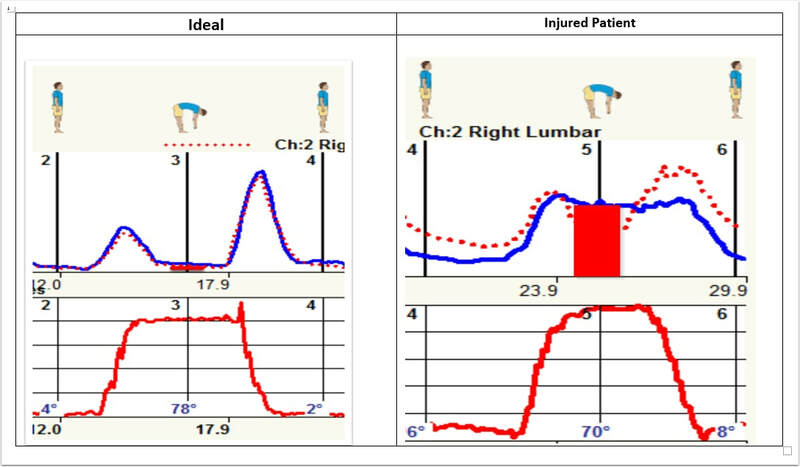 This technology has been accepted by the American Medical Association, and is listed as a method of choice in assessing spinal range of motion in the AMA Practical Guide to Range of Motion Assessment. The test Is highly sensitive and reproducible, and the results can be demonstrated graphically in a format that is readily understandable, even to non-clinicians.​ The DynaROM's validity has been tested and established all the way up to the State Supreme Court Level. In 1955, Floyd and Silver established that in the erectores spinae (lumbar) muscles of normal pain-free individuals, muscles would shut of when bent forward into flexion. When patients were experiencing dysfunction in the lumbar spine, including soft tissue injury, these same muscles would continue to fire. This phenomenon was referred to in all future scientific literature as the "Flexion-Relaxation Response," or Flexion-Relaxation Phenomenon." ​​Recognized by the AMA, DynaROM helps establish need for care, determine MMI, and expose symptom magnifiers. According to John Gerhardt, MD, author of the book "The Practical Guide to Range of Motion Assessment," simultaneous measure of range of motion and muscle guarding increases sensitivity and specificity to soft tissue injury, making this tool a stronger measurement than Range of Motion alone. 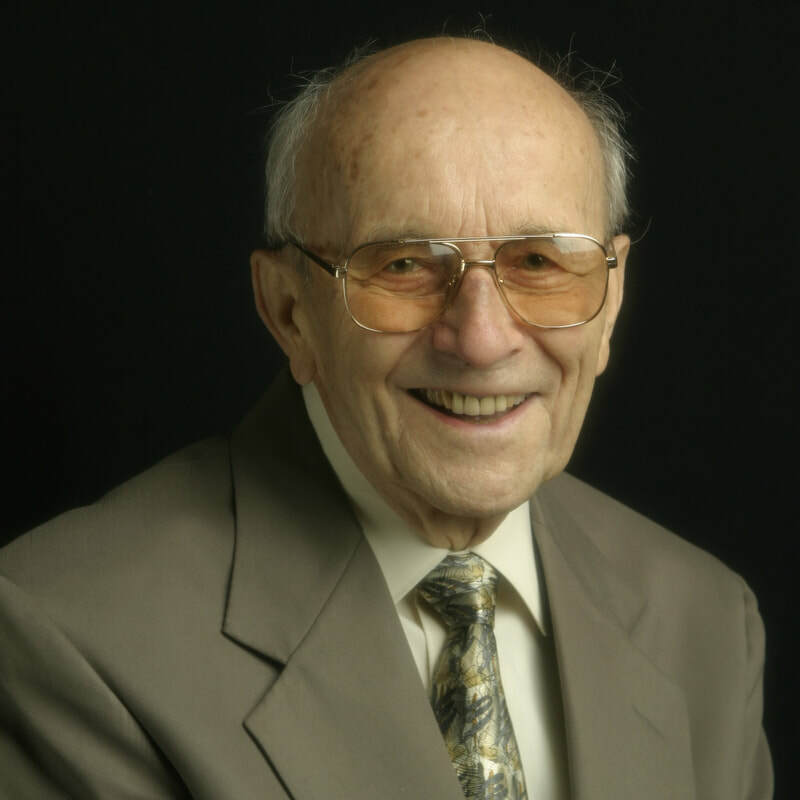 John J. Gerhardt, MD. 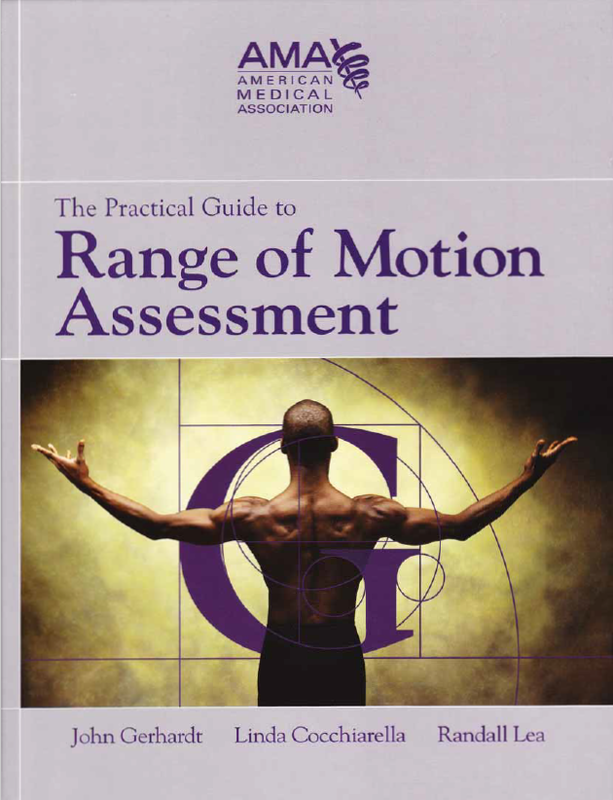 Author of the AMA's Publication The Practical Guide to Range of Motion Assessment." There is no other tool I know of, including MRI, CT and ROM testing, that can beat the DynaROM in evaluating soft tissue injury. 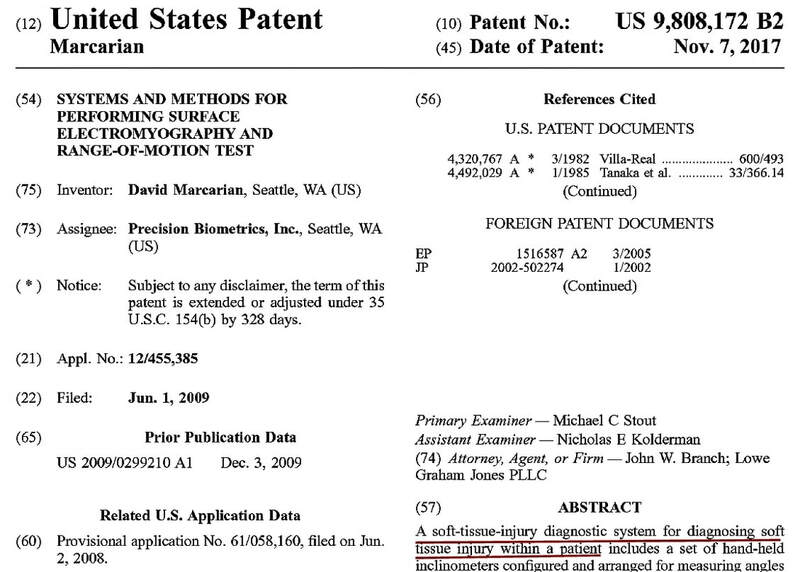 After 8 years of design evaluation, the U.S. Patent Office has finally granted the DynaROM this patent. How does dynarom surpass standard rom? The body’s natural defense mechanism to pain is muscle guarding. DynaROM simultaneously measures range of motion and muscle guarding to objectively document the muscle guarding component of range of motion, thus increasing the sensitivity of ROM to true soft tissue injury. Learn more about why DynaROM is preferred over traditional ROM. CPT Code 96002, 96004. ​"Research establishes that DynaROM increases sensitivity and specificity of Traditional Range of Motion by measuring muscle guarding, the body's natural response to pain." "I heard it uses surface EMG technology and lacks scientific validity..."
All criticisms of DynaROM have focused on a technology with a similar name, called Static EMG. DynaROM uses well established attached electrode EKG technology. 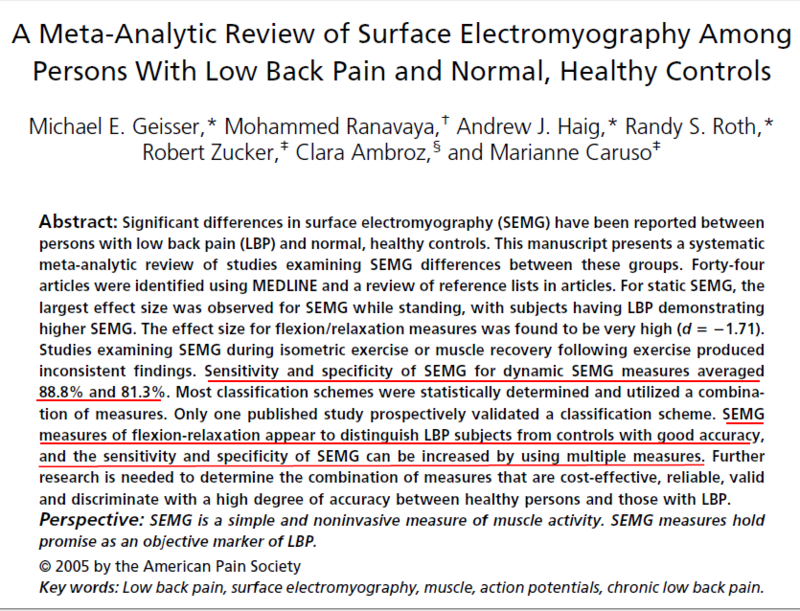 A simple Pubmed search shows over 10,000 papers published using DynaROM muscle guarding technology vs. only 2,500 for needle EMG. Without the DynaROM... we would have not won that case, and she [the patient] would not have justice. So, How has Dynarom PERFORMED in court? March 30th, 2018: The patient was seeking $85,000 in mediation but the insurer wouldn't budge, leading to a jury trial. The insurer, armed with one of the best expert witnesses, was not worried. Mr. Marcarian presented the DynaROM data to the jury, and in an unprecedented twist, the insurance expert with a reputation for not only winning, but for extremely high ethics, did not rebut. The jury was able to comprehend the test data in seconds, closing the trial quickly. The DynaROM data was clearly irrefutable. ​The bottom line: objective data wins over opinion. In the old days, it was opinion vs. opinion. The doctor with the most prestigious looking CV won. Now, data is what drives the world. A patient who was injured in a work-related injury, claimed to have severe back pain but all evaluations came back completely normal, with range of motion at 68 degrees. There were no positive findings until a DynaROM exam clearly concluded that her back pain was real. She was able to receive treatment, but after 9 months her treating physician felt she was at MMI, even though she continued to complain of severe back pain. Another DynaROM exam was performed, this time showing that her treatment was successful, and her continued complaints were unfounded. When presented with the data, she confessed, "I just don't want to go back to my job." The DynaROM data helped her see the real problem. She called her doctor 3 months later to thank him; she got a new job and her quality of life improved dramatically. Objective data has the power to change lives in a positive way. A real patient speaking about the impact DynaROM had on her workers compensation case.